Stratton Mountain’s only Co-op communities, these townhomes offer 3 bedrooms + den / 2 baths on three levels with wood burning fireplaces. 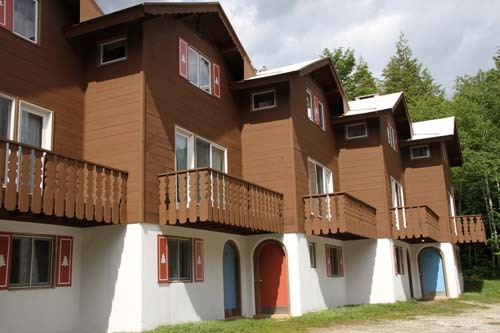 Chalet Apartment Co-op is located on resort. Birch Hill is conveniently located off of the Access Road near the golf course. Sports Center Access and shuttle service available. I have a question about the property at 5 Sugar Maple Winhall VT 05340 (#4738283). I would like to schedule a visit for the property at 5 Sugar Maple Winhall VT 05340 (#4738283).